Marvel Collectibles Fine Art Giveaway! You are here: Home / Expired / Marvel Collectibles Fine Art Giveaway! Choice Collectibles sent us one of these and is providing a Marvel Defenders print for one of our lucky readers! There are some great prints on the site. My son-in-law is a Marvel nut, so this print is going on his list for a Father’s Day present! Whether you love Marvel, DC, Disney, Star Wars, the Simpsons, sports or more there are great prints for you to have! The premier provider in authentic animation, out-of-print and limited edition fine art, Choice Collectibles supplies beautifully crafted rare pieces that, thanks to great partnerships, feature your favorite Disney, Marvel, Star Wars and Warner Brothers characters, among many others. The full collection may be found at allanimation.com! ​Created by Marvel staff artists, ”Defenders” is inspired by the famous live-action scene where the Avengers battle the villains in the city rubble. 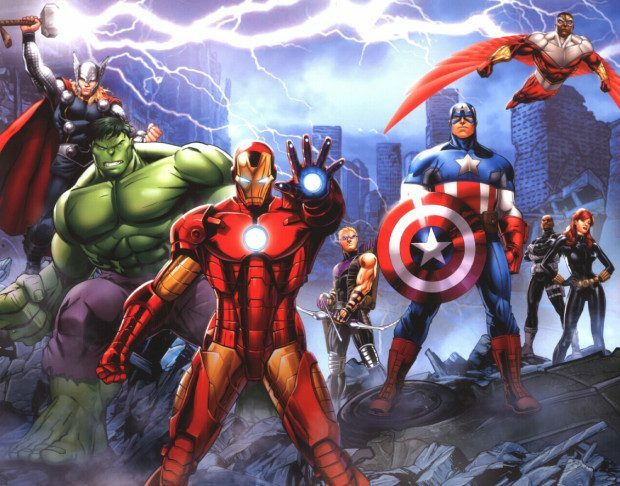 The Rubble Rousers crew features the characters: Thor, Hulk, Iron Man, Hawkeye, Captain America, Falcon, Nick Fury and Black Widow. This limited edition(only 1,000) lithograph on paper is matted and ready to frame. Comes with Certificate of Authenticity. MSRP $50. Size 14 L x 17 W.
To enter the giveaway, leave a comment telling us your favorite Marvel character! The winner will be drawn at random. This giveaway will end Saturday, April 2, 2016 at 11:59 pm Central time and the winner will be emailed soon thereafter. Make sure you add [email protected] to your address book, so you get the email if you win!